Thank you for considering Somar for our event. This reservation request is for small-to-medium sized mixers, celebration of special occasions, company gatherings. If you need our entire space, please check out the Private Party Package. If you’re interested in a fundraiser, find out about our Fundraiser Package. Please review the party tips below before filling out the form below. Submitting your request does not commit you to any date or fees, but rather a chance for us to accommodate you. Thank you. 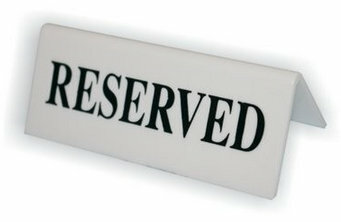 We charge only $50 to reserve seating for you and your guests. $50 fee is non-refundable and due upon signing the contract. Your reservation can start as early as 4:30 pm on Tuesday, Wednesday and Thursday, and 7 pm on Saturday. You and your guests are welcome to stay after the end time of your event. You can bring in your own food or use an outside caterer. There is no fee to bring in food for your event. If you bring in food, the Fire Department does not allow any type of chafing dishes or equipment. We do not have a kitchen to cook or heat up food. Food should be appetizers/finger foods that are easy to serve and clean up. If you bring in food, you must supply your own plates, utensils, napkins and serving tools. We take into consideration that others at Somar may not be attending your event, so we do not allow performance, speeches or personally selected music. And we have a No-Shushing policy. Somar has overhead music playing if a DJ is not scheduled or playing yet. Are you interested in serving food? Please note that Somar does not have a kitchen to heat up food and the Fire Department does not allow any type of chaffing dishes. Bringing in own food. Using an outside caterer. No food. Are you interested in hosting part or all of the bar? No Yes; only part. Yes; all of it. Not sure.